You’ve written a killer lead magnet and you’re pretty darn happy right about now! It’s everything a lead magnet should be, filled with value to delight your dream client, it’s short and sweet and solves a problem. Well next on your to do list is to drive traffic to your lead magnet so you can start growing your email list! Let’s look at some ways you can promote your lead magnet! First and foremost, your lead magnet, aka your ‘freebie’ should be front and center on your website. Ideally, you want it to be the very first thing that people see. Because up to 99% of website visitors will visit your website and LEAVE without buying anything or heading to your Contact page to get in touch. The majority of people are just ‘browsing’ when they go online and will look at several different websites before they make a decision to purchase anything or contact someone. So how do you connect with them? How do you stand out and make them remember you? What’s the best way to capture their contact information? That’s what your lead magnet does for you. 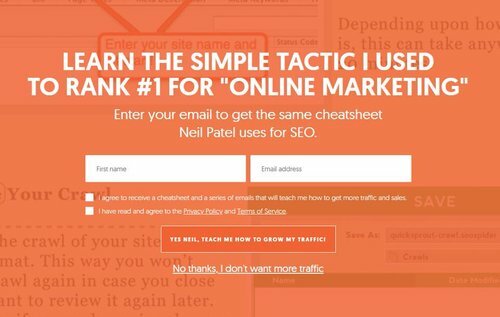 I love Neil Patel. One of the things I love about him (other than that he is digital marketing genius!) is that he is always testing out new strategies. The last time I visited his website, he had a lead magnet displayed as a box at the top of his website, this time, he has opted for a welcome mat. Digital Marketer are another favourite site of mine and their lead magnets are always amazing. They have opted for a large banner displaying front and center and are giving away an invitation to their community. 100 Days Real Food also use a banner, set down just a little from the first thing you see, but it’s big, bold and clear - you can’t miss it! 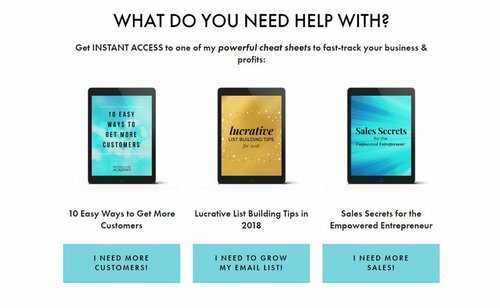 I sometimes like to offer a couple of different lead magnets on my home page, as business owners and entrepreneurs come to me for slightly different reasons. This way, they can pick the one that is most related to their needs, or can grab all three! The thing to note here, is that all the websites give visitors something to DO, within seconds of viewing the page. You need to capture their attention quickly as website visitors will make a decision to stay or not within the first couple of seconds of being there. Grab their attention, then grab their contact info! As long as you’re providing real value - a solution to a specific problem - they’ll be happy to give you their contact info! “Fun fact - did you know that human beings now have an attention span of just 8 seconds (it used to be 12 seconds!) - that’s 1 second less than a goldfish!! So you can see how important it is to get your lead magnet front and center, right? But it’s not all about your website, there are a ton of other places you can promote your lead magnet too! Ahh, Facebook! It’s kind of a love-hate relationship for business owners isn’t it?! 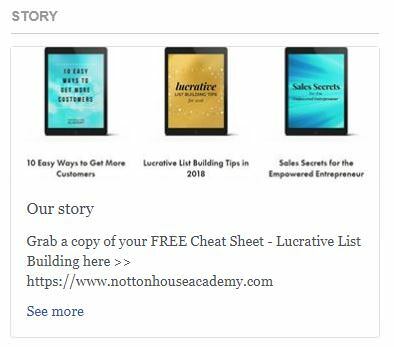 But no matter what they do to us, or how many times they change their algorithms, as entrepreneurs we love them because there are still a tons of FREE ways we can use Facebook to promote our businesses. In your Page’s ABOUT Section, head to PAGE INFO and click EDIT. You can see that mine needs updating again! Add a link to your lead magnet here. Next up, go to your COVER PHOTO and upload an image of your lead magnet. I’ve used a screenshot from my website, which looks pretty cool. It’s a great way to tie in your branding so that when visitors come from Facebook to your website, they know they are in the right place! Once you’ve uploaded your cover photo, click on the right hand side to EDIT DESCRIPTION. Add a couple of lines to push people towards your lead magnet & include your link! On your mobile, go to the Facebook app > your Page > look for the post update that Facebook automatically generated for you > click on the image > edit & emoji away! TA DA! Ok, so those are 4 places you can promote your lead magnet, just on your Facebook Page! Of course, any time you post status updates, videos, FB Live’s, images or anything else, you can add your lead magnet link there too! So, that’s your Facebook Page, how about your Facebook Profile? Now, facebook won't allow us to use our personal profiles as businesses, but that doesn’t mean we can’t include a few things here and there. Check out their Terms of Service before you do anything, but here’s a few things that seem to be ok. 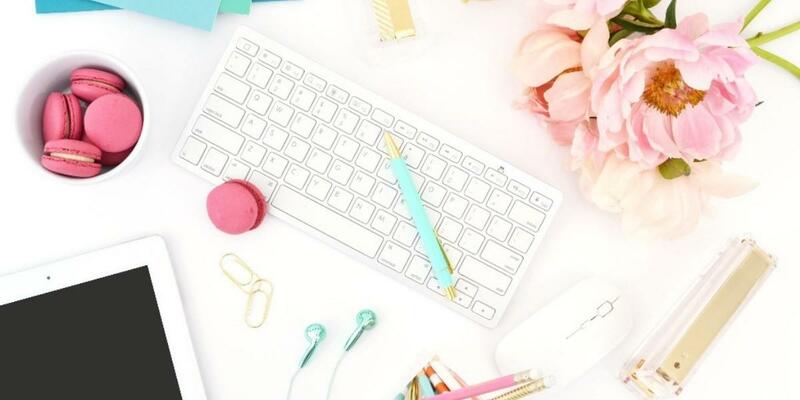 If you blog regularly, start blogging about the topic of your lead magnet and other topics connected with it. In your blog posts, you can also mention your lead magnet and link to it. Well, if someone is reading your blog post, they are most likely interested in the topic you’re writing about. So, if there is a mention or advert for for lead magnet that is also about that topic (or something closely related) it figures that it would appeal to them too. It’s a great way to convert your blog readers into email list subscribers! You can use text links, an image or a combination of both. Don't forget that if you do videos on your blog, to mention it there too! For instance, this article is all about how and where to promote your lead magnet. And if you’ve got this far, it’s pretty much guaranteed that your are interested in creating and promoting your own lead magnet. Another great place to mention your lead magnet is on your podcast! Tell people about it at the beginning of the show and leave a quick reminder at the end too. Don’t forget to tell them the URL they can find your lead magnet at, and spell out any tricky words. For this reason, try to make the URL as simple and short as possible to avoid any typos or forgetfulness! You can also link to your lead magnet in your show notes or podcast transcription. 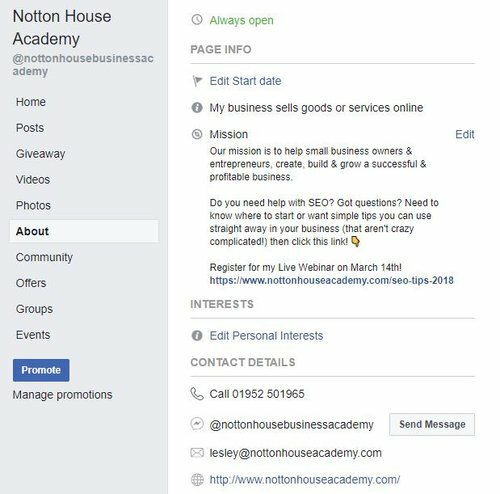 Just like your Facebook Page, you can upload an image of your freebie for the cover image and edit the description to contain a link. You can also mention it in your Group description, your pinned post, intro post or video or as a file and upload it to the FILES section in your group. Don’t forget, if you ask members questions before they join your group, you can tell them the link to your freebie right there and ask them to go get it! 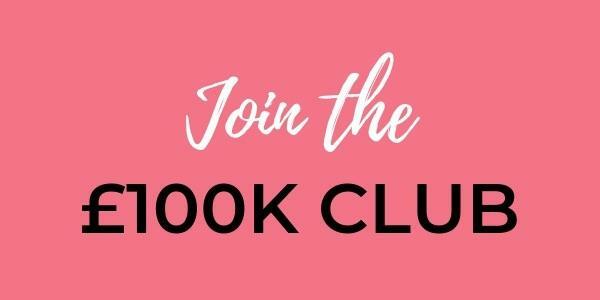 What if you don't have your own Facebook Group? Don’t panic, there are still ways you can utilise this great free feature of Facebook! Most groups have a particular day that you can advertise on and sometimes a day or thread just for ‘freebies’ too - these are the perfect places to talk about the topic of your lead magnet! Don't just ‘drop & run’ though! You need to put more than just a link, write a couple of lines (no more!) about who this PDF / Video / Cheat Sheet helps and what problems it solves. Add an image if you can too - something bright and fun to capture the viewer's attention. 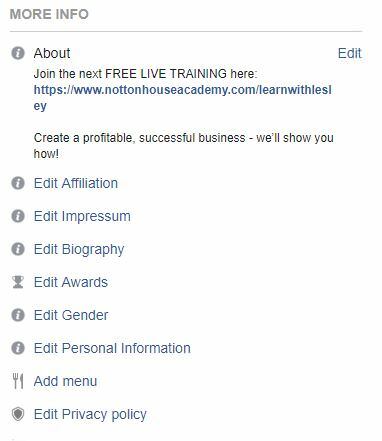 Ok so that’s Facebook Pages, Groups, Personal Profiles, Websites & Blogs covered! 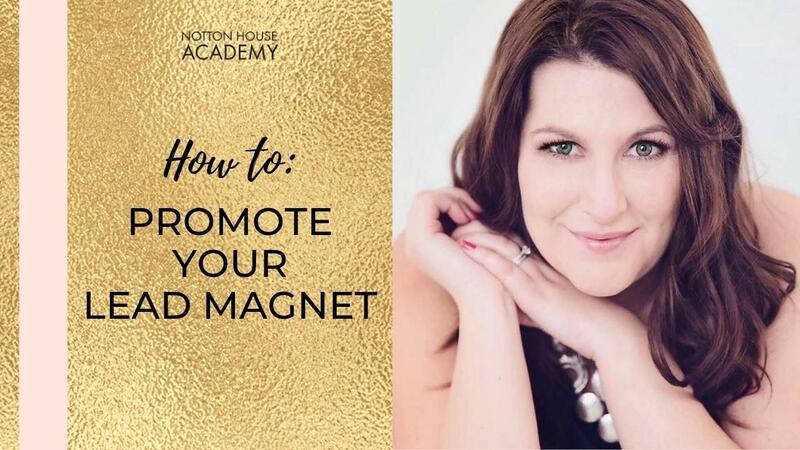 I’ve got a ton more ideas for you - there are LOADS of ways to promote your lead magnet!! I’ll save those for another post!